In 2009, a message of affirmation is written on a white board in one of the Centre for Addiction and Mental Health's Toronto facilities. Toronto, 1995: Then-premier Bob Rae gets a hug from Frances Lankin, his former health minister, as he arrives at a party caucus meeting. 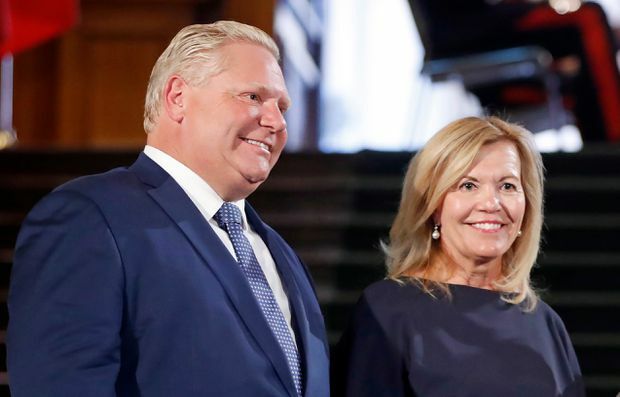 Ontario Premier Doug Ford stands alongside Christine Elliott, then newly sworn in as his Health Minister, on June 29, 2018. The Ministry of Health has its facts wrong. They claim there is no evidence that more than “short-term” works. This is shockingly inaccurate. There are now so many randomized control trials of these more intensive treatments that we have “meta-analyses” summing up what they show cumulatively. Three recent summations, in the last several years, show that long term psychotherapy is an “evidence-based” treatment. Studies show that for complex patients, such as Mr. A., who have traumas that affect their personality development, long-term intensive psychoanalytic psychotherapies have significantly better outcomes than short-term treatments. And for young children, who can’t take drugs, intensive psychotherapy is our primary intervention. “I honestly can’t think of a better and more efficient way to kill our discipline, never mind the terrible impact on our patients," said Misha Hartfeil, who is not primarily a psychotherapist but rather a newly graduated forensic psychiatrist at CAMH. One way the Health Ministry has tried to justify these cuts is to quote a study by Paul Kurdyak (who consults for the MOH) that shows some psychiatrists treat fewer patients than others. Along with his co-authors, David Goldbloom and Benoit Mulsant – all three work for CAMH – Dr. Kurdyak argues that these psychiatrists must be the ones who do more intensive psychotherapy, and this is why wait lists to see psychiatrists are long. In what must have been music to the ministry’s ears, they insist we have more than enough psychiatrists. 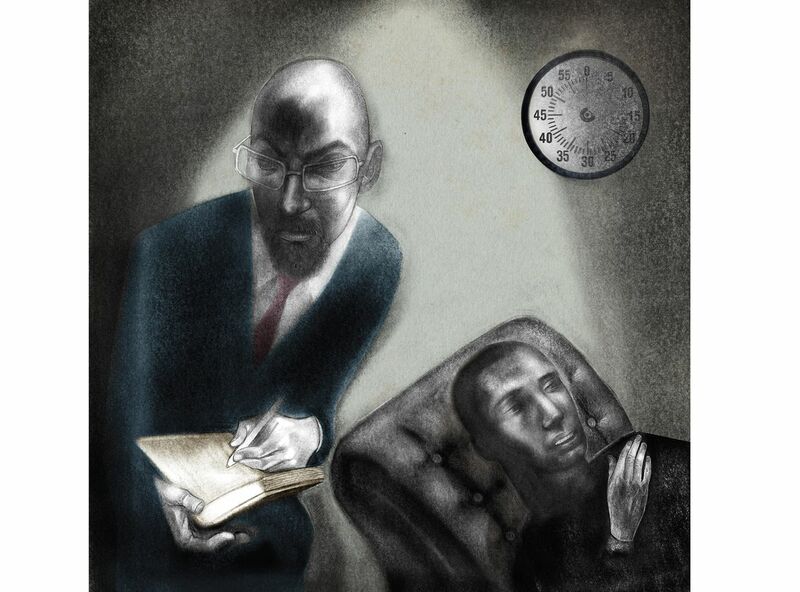 The problem is that psychiatrists are permitted to do intensive psychotherapy. So, best to just cut it. Paul Kurdyak, the author of a study being used by the Ontario Health Ministry in its rationale for changing policy on psychotherapy funding. How did these authors know that “low-volume psychiatrists” treat patients who have such “low needs"? They just assumed it. In fact, they didn’t interview or assess a single patient of these psychiatrists. Rather they had, by their own admission, only “a crude proxy for service need” – the regional rates of hospital admissions for schizophrenia, bipolar disorder or major depression. They simply presumed that patients seen by physicians in “low-volume practices” were low need if the patients hadn’t had a psychiatric admission for one of only three illnesses in the past two years. They also concluded, mistakenly, that any physician who saw a patient frequently was providing psychotherapy, but provided no evidence for that assumption. A significant number of those billings were for a more general service – “psychiatric care” – which may not involve psychotherapy. Psychiatrists use that service to see bipolar or schizophrenic patients regularly, to keep them out of hospital. A colloquium of psychiatric residents meets in Topeka, Kansas, in 1949. 'It excites me to think that some of the best days of our lives haven't happened yet!!! ', reads one message on a white board for patients at CAMH's Queen Street facility. The covenant the government made with the people of Canada, and its physicians, when it moved into nationalized health care, was not that the government would “play doctor,” but that it would become an insurance agency that would cover medical care for the entire population. This meant that some people, because they are sicker, would use more resources than those who were blessed with better health. Provincial plans work by spreading risk through the entire population, because a large population is required to pay for them from their taxes. As such, we assure all that should they get sick, they will get coverage – and we won’t deny treatment if you break your arm just because that’s not as serious as cancer. We don’t play patients off against each other. We also didn’t choose to only treat those who are sickest today. That is because, without preventative care, people who may not be the sickest today could become sicker tomorrow. It’s imprudent to wait until a person is a full-blown diabetic to treat him or her; intervening early – with dietary changes, for instance – is far more humane and leads to huge savings. Just as physical illnesses can evolve and get worse, so can mental diseases. Mr. A, my patient with the spinal-cord injury, obviously needed care postinjury. But he also said the childhood trauma he had from before the injury would have ruined his life, if untreated. A wise and humane system would not have withheld treatment from him even if he had a functioning spinal cord. It is laudable that the Ministry of Health wants treatment for those with schizophrenia, bipolar disorder and depression, who are unquestionably ill, and to help those people get the resources needed. So do most physicians. And we also need to be able to treat other people who are also unquestionably ill, who require a different mode of intervention, even if it involves not only medication, but psychotherapy. It is not remotely overused. This year’s OHIP numbers show that, at most, 1 per cent of psychiatrists’ patients currently get intensive long-term psychotherapy, as the ministry defines it. It is being prescribed very selectively, for those in need. It makes no sense to assume that because one has a condition that responds to intensive psychotherapeutic treatment that it somehow isn’t medical, or medically appropriate. It makes sense to use mental techniques as part of treating mental illness, and patients want it. It is intellectually reckless to ignore the science that shows these treatments work. And it is cavalier to say such suffering patients’ needs “don’t align with” – some arbitrary conception of – “public need.” Stigmatizing one group of patients to get resources for another group is counterproductive and wrong. Above all, the idea that there is only one kind of therapy that works – short-term – is misinformed. My advice for Christine Elliott, Ontario’s Minister of Health: You did not develop this travesty of a proposal. You inherited it when you took office. Imagine what it would be like to meet such patients as mine, and look them in the eye, and explain why your ministry is taking away their treatment. William Osler, the great Canadian physician, said, “The good physician treats the disease; the great physician treats the patient who has the disease.” That distinction makes all the difference in mental illness, because when we are mentally ill, our whole person is affected. And because each patient, each whole, such as Mr. A, is unique, the kind of treatment and its length can’t be determined by a decree from someone on high who has never encountered his complexity. The ideas that everyone gets the same treatment carelessly disregards the breakthrough insight that we need personalized medicine, the kind that is proving to be so helpful now in cancer treatment. It’s like saying “every bridge in Ontario will be 24 metres,” regardless of the body of water it is over. Neither I (nor anyone else) can tell in advance exactly how many sessions Mr. A will need, and this isn’t because I’m inexperienced or unscientific but because I have 30 years of experience, and value a scientific approach, which means: I don’t make stuff up. The Ministry of Health should withdraw the destructive proposal that will end up costing our system a fortune, and prolong untold pain. They should become better informed and advised. That is why he drives himself to my office, through snow and sleet in his motorized wheelchair. No roof overhead.